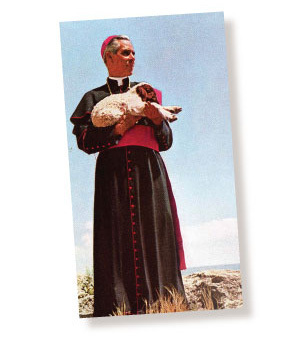 The Archbishop Fulton John Sheen Foundation was created to make known the life, works and thoughts of Archbishop Sheen and to lead others to a deeper relationship with God and His church through the Archbishop's example and intercessions. The Foundation, based in Sheen's home Diocese of Peoria, Illinois, works to advance the Cause for the Canonization of Archbishop Sheen according to the process of the Catholic Church. Click here to learn more about The Archbishop Fulton John Sheen Foundation.